It is that time of year when train shows abound. 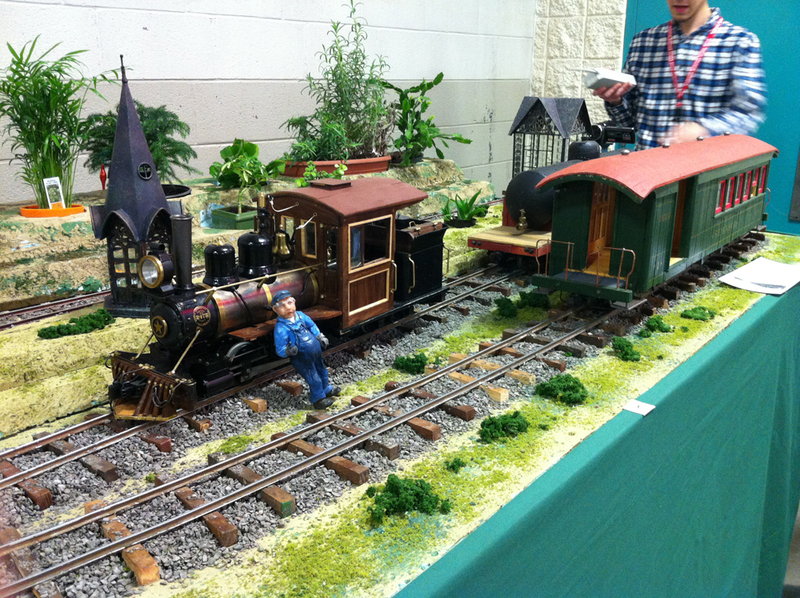 Whenever I go to a train show or event, I am always on the hunt for small layouts. This months episode looks at a few that I found recently. 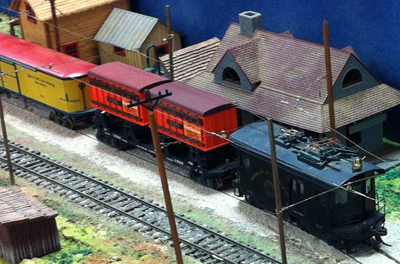 Most shows in the U.S. are more flea market than train show. 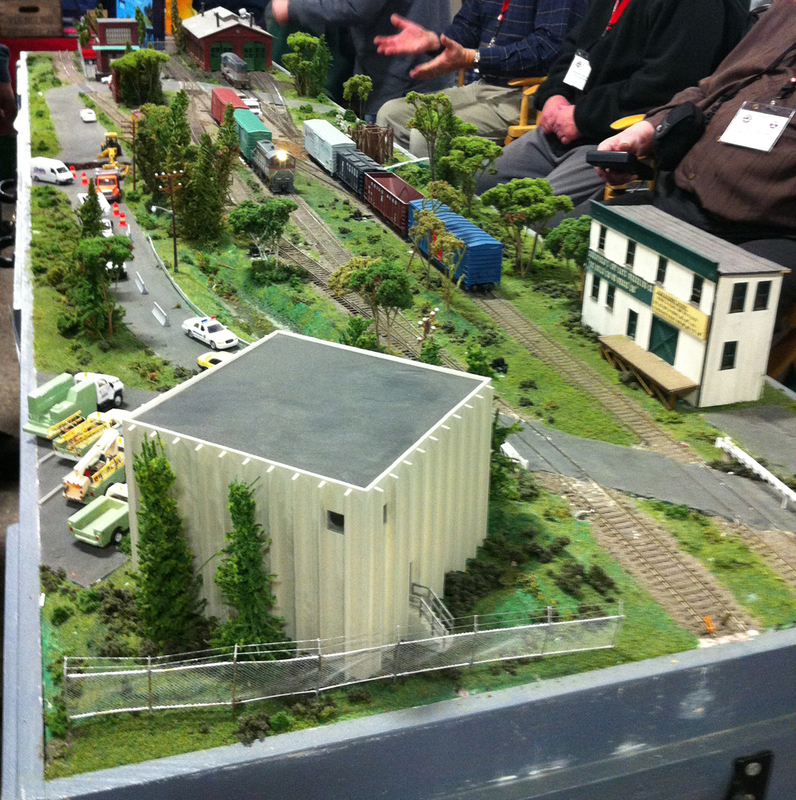 In Early December, I attended the NMRA, NCR, Division 6 Show in Livonia Michigan as part of an exhibit on Free-mo. The show is unique in that it did not have any vendors at all. It was just layouts and people sharing their interests in the hobby. Although it was an NMRA division event, you did not have to be an NMRA member to visit the show. At the Division 6 show, I managed to get a few minutes to walk around and see some of the layouts. This little gem by Eric Diehl caught my attention. 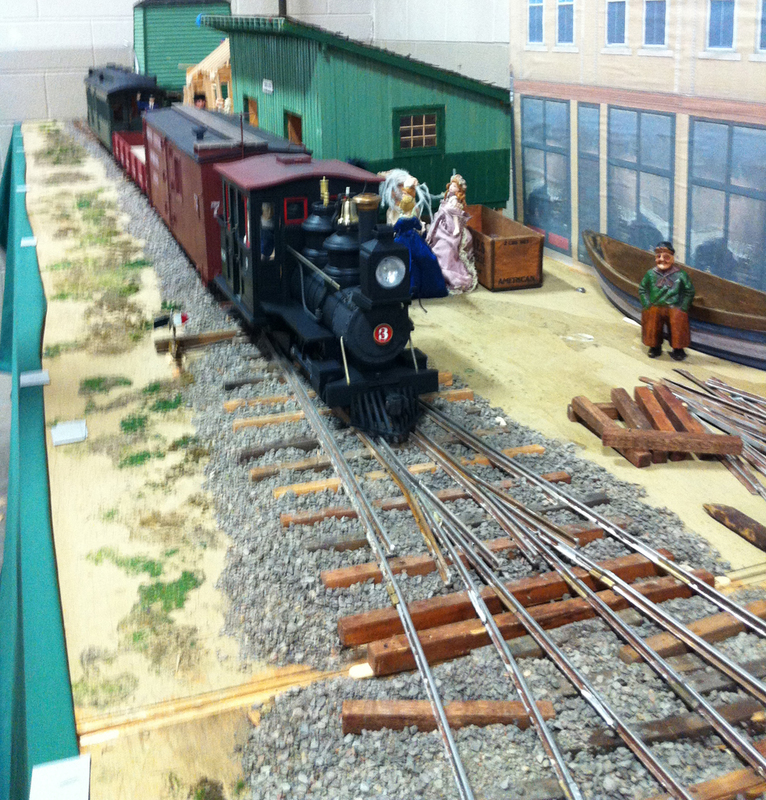 It is a modular layout that can be part of a larger club layout or run on its own. At the show Eric was running the layout on its own as a separate small layout. The layout is viewable from both sides and allows for point to point or continuous running. 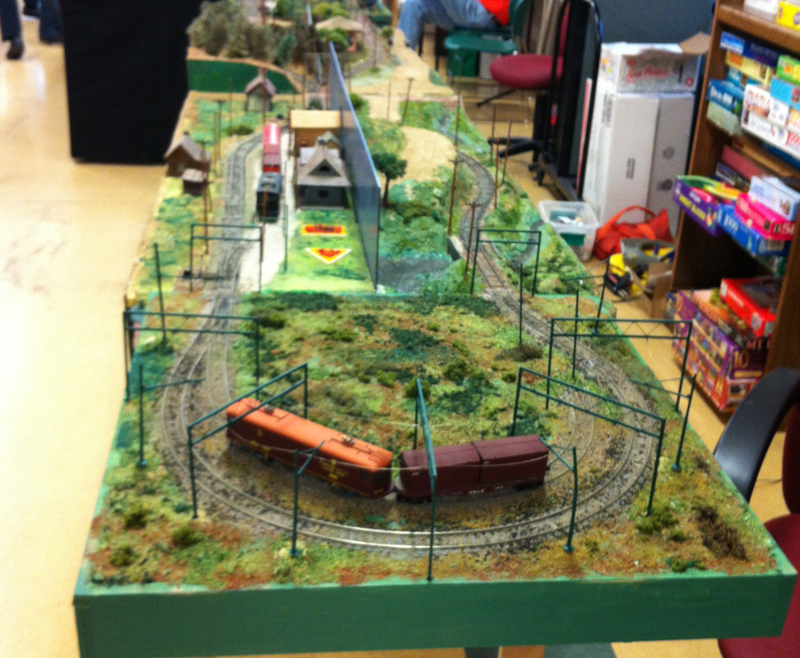 In January, I visited the annual Lansing Model Railroad Club Show & Sale in East Lansing, MI. At this show I stumbled upon a trio of interesting small layouts by Tom Cipelle. Tom really likes the very small scales. 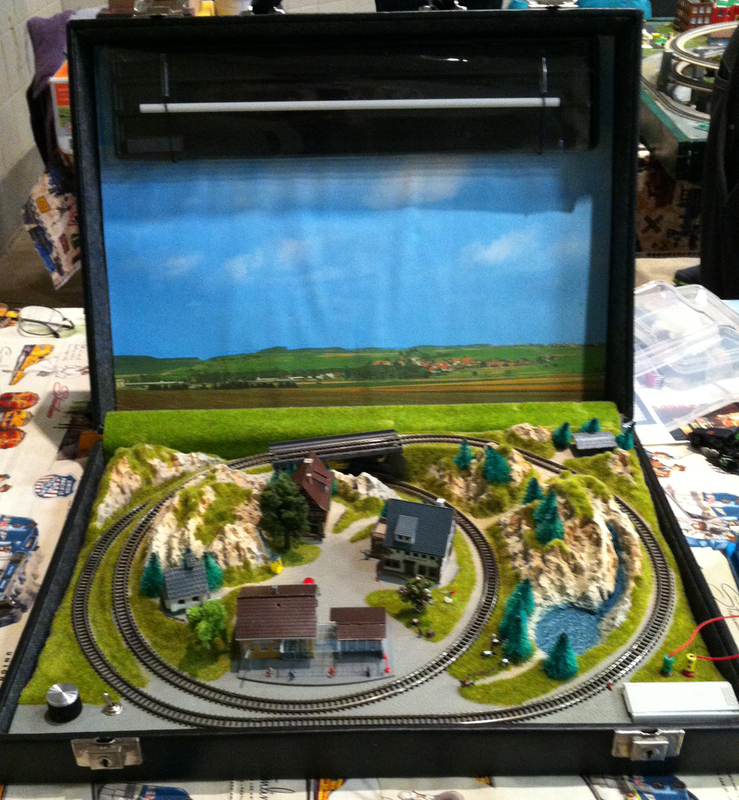 The first layout is Z scale and set in a brief case. The layout is a continuous runner with an over-under arrangement. Tom did a very nice job of integrating everything into a nice neat package. The second layout by Tom is also Z scale with three loops for a lot of running action. The center section allows for some switching if your eyes can handle such a small scale. His third layout was a very small T scale (1:450) layout. The trains for this layout were absolutely tiny. 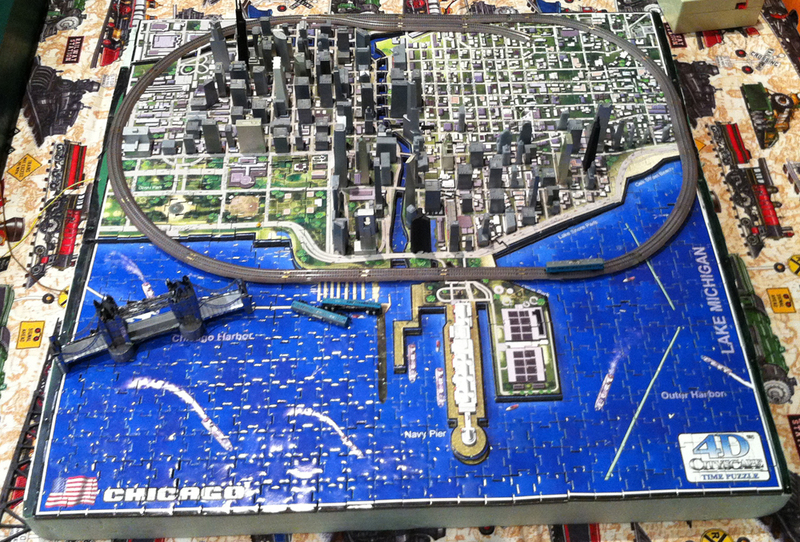 The layout is set on a 3-D puzzle of Chicago. Although the rivet counter may discount the scale variations of the train vs the city, Tom’s T scale layout drew quite a crowd. I also have to mention that Tom’s wife insisted that the Tower Bridge added a little pizazz to the scene. This year I was finally able to make it to the Springfield Mass Train Show. This had to be the largest train show, I have ever been to. Unfortunately I was only able to attend one day for six hours. Not nearly enough time to see everything at the show (I missed one whole building). Even so, I was very pleased with what I saw and I will make sure to return and spend two full days next time. One small layout that peaked my interest was the small layout by the Providence Northern Model Railroad Club. 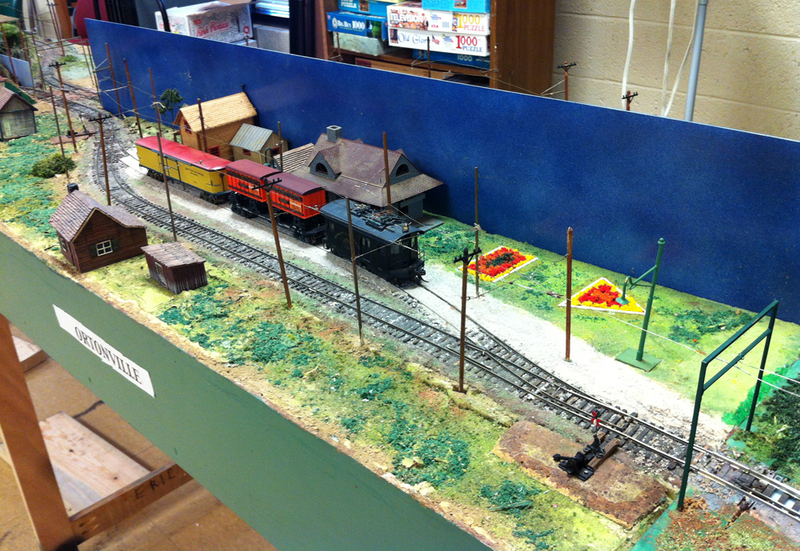 Although they have a large club layout, they brought to the show a small switching layout that showed a fine level of detail and craftsmanship. The crowds at the show kept me from getting good photos but the couple here should show the capabilities of the layout. The layout is HO scale and can be setup for switching operations. 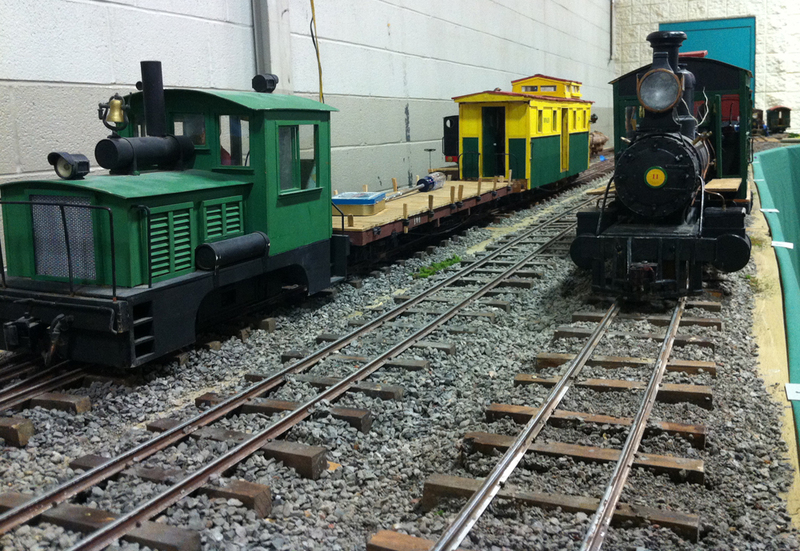 Also at the Springfield show was the Western Wiscassett & Northern Railroad. 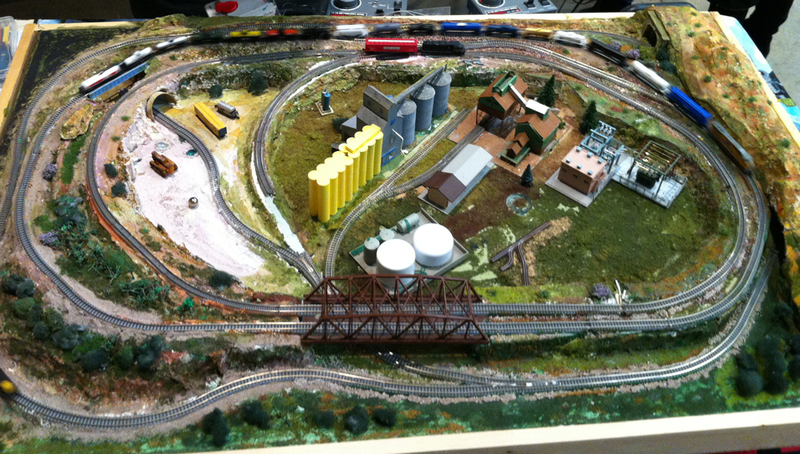 This 7/8 scale layout was presented by David Newton. 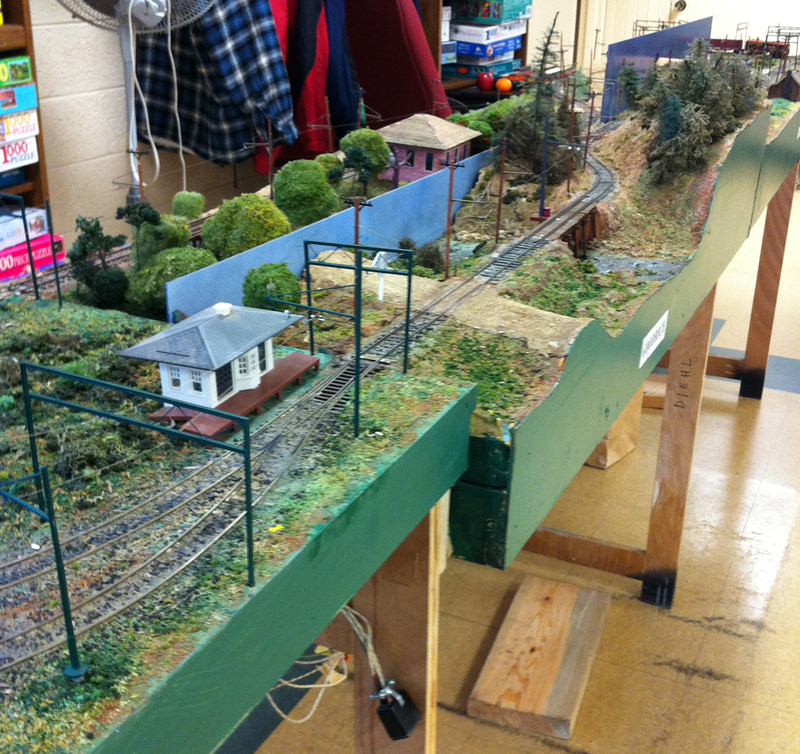 The layout is a switching arrangement and represents a Main 2-foot gauge railroad in 7/8 scale. The proportion for 7/8-inch scale is 1:13.7. These trains were big. Most of the locomotives were battery powered but one was live steam. If you have come across unique layouts that you would like to share, please contact me. I would like to hear about them too! A nice show review, however the Tom Cipelle layout based on a Chicago map does not have London Bridge on it. It has a model of Tower Bridge, which is in London. Thank you for the feedback and clarification Tom. I changed it to Tower Bridge. There is no model of Tower Bridge in the layout! However, the model is attracrive. It is sitting in the water of the T scale layout.